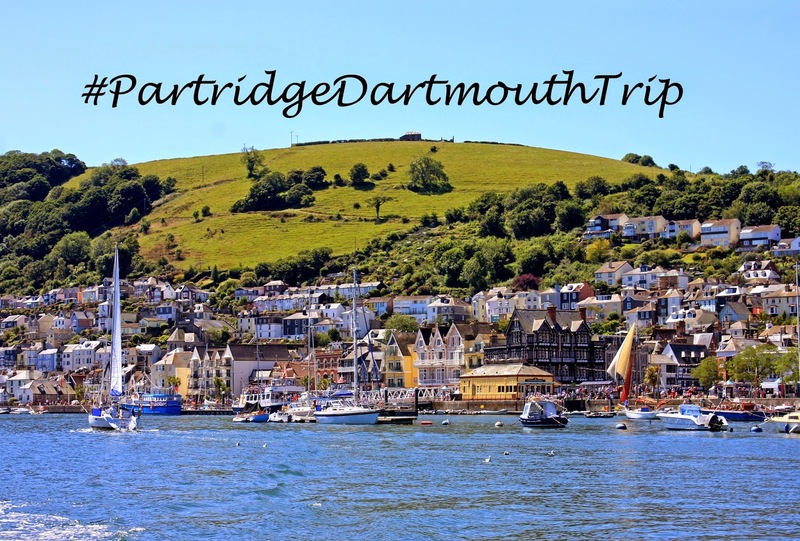 This is my final post in the Dartmouth series – it’s been a blast! As the hotel that we stayed in didn’t serve breakfast and, as we’d had a couple of glasses too many of Caribbean punch the night before at the wedding, when we woke up we decided to check out, pack the car and then go in search of some breakfast. One thing that I really loved about Dartmouth was how friendly the locals were. A few people said hello to us in the street as we were pottering around. One man overheard us discussing where to go for breakfast and suggested three places to us – The Seven Stars, a local pub; Marjorie’s Pantry, a greasy spoon; and Alf Rresco, a slightly bohemian cafe at the end of town. As Alf Resco was the furthest away, we decided to walk there, past the other two options, and check it out before deciding on a final destination. As soon as I saw the place I knew we should eat there. The best way I can think of to describe it was like a five story building in old Italy with its name painted on the front and a caravan awning acting as extra seating area. They even have some rooms which are available to stay in during the summer months. If this is something that you like the look of then it might be a good idea to check out something like these CampSmart annexes to give you a better idea of what you could get for yourself. There was a little stand at the front for takeaway coffees and the place was heaving. Inside the cafe, there were long tables which meant that families had to sit together, giving the atmosphere a bit of a communal touch. I really liked this but at the same time, I was glad we managed to secure a table for two – you never know who you might get sat next to! We sat in the awning area which had outdoor heaters but was still a little chilly. 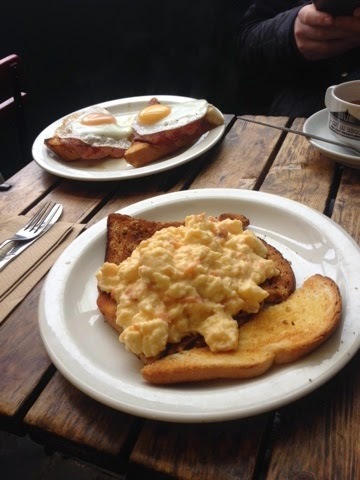 I (predictably) ordered smoked salmon and scrambled eggs while Mr P went for his favourite, bacon and eggs on toast and we had a pot of tea for two to warm us up – we are without a doubt creatures of habit! We saw people with mountains of toast with pots of marmalade and jams and the full English breakfast looked really yummy. When mine came out, I was a little nervous as the salmon was all mixed in with the scrambled egg (not something I’m used to!) but I needn’t have worried, it was delicious and even reminded me a bit of my smoked salmon omelette. Mr P was truly enamoured with his as well, declaring it “incredible”. I really loved the cafe – it was a heady mixture of local culture (lots of the customers knew the staff), quirky-ness and delicious food.